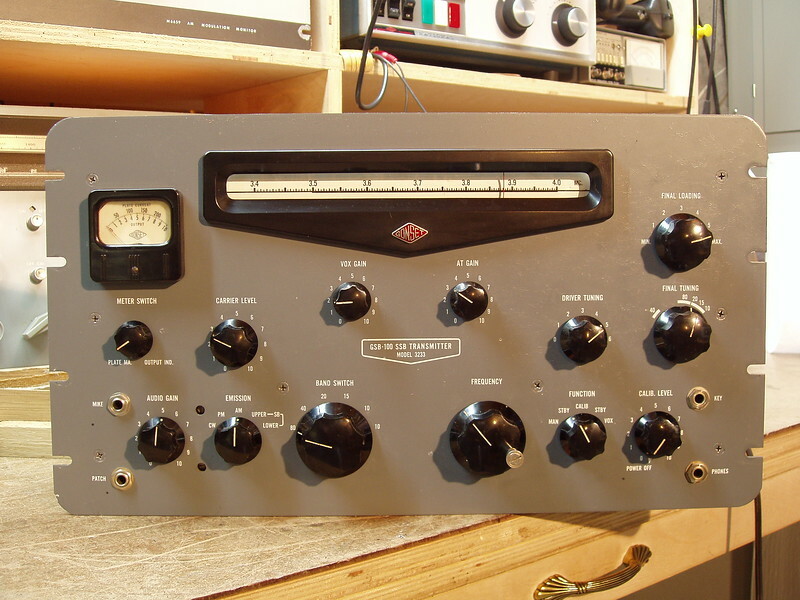 This transmitter has a hetrodyne architecture, and generates SSB using the phasing technique. It has a unique method of achieving very good carrier suppression, in that it uses a crystal filter to notch out the 9Mc carrier. The rejection is so good that the trimmers are accessed through holes in the front panel, rather than having a knob as nany phasing rigs do.